The new ‘Making a difference’ campaign can help you take your first steps towards choosing a career and becoming a healthcare hero. 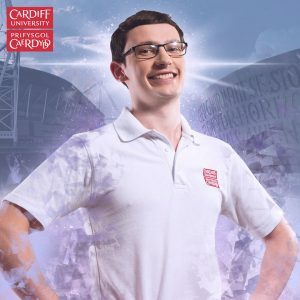 Learn about the various healthcare degrees available from Cardiff University and hear from real students, including Rhys who is passionate about his Physiotherapy studies. Rhys decided to study Physiotherapy (BSc) at Cardiff University after being inspired by the Physiotherapist that helped him during his own recovery from cancer. Soon he might be inspiring patients himself. Do you have any questions about studying for a career in healthcare? Ask us here!